The REST API is playing a vital role in making the WordPress more powerful and compelling web development framework. It has already created a lot of buzz around the web world and is slowly and steadily becoming a robust tool to develop fully-fledged websites, mobile applications, and highly-customized themes. In a simple term, the REST API enables developers to decouple the front-end of a WordPress site. This helps them add more advanced functionalities to the core of WordPress package for the better implementation of the framework. In fact, most of the reputed business owners are using REST API for their WordPress sites to make the most of this CMS platform and its rich features. It helps developers to build user-friendly sites, which in turn, encourages companies to generate quality traffic and higher sales for their web business. However, most of the people don’t have complete information about the REST API. If you are one of those, then this blog post will help you. 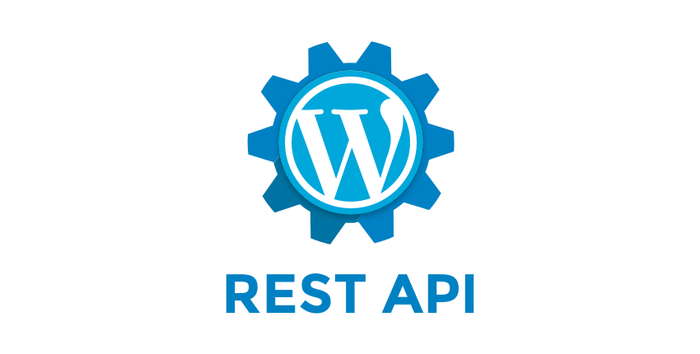 We bring you the complete guide to rest API for your WordPress site. But before diving into the main concept, it is important to tell you that this blog post is for those developers who have comprehensive knowledge of WordPress and PHP. How to Get Started with WordPress REST API? Besides this, you must have basic knowledge of the WP HTTP API. This will help you make calls easily. Note: You can find this code in a rest-api-test-widget folder, available in the plugins directory. It is saved in a file known as rest-api-test-widget.php. It includes the plugin header that is used to list the plugin in the admin to create a widget. If you are a novice WordPress developer, you may find difficulties in creating widgets for your site. But you don’t need to worry because we will explore more about the widget() function to let you create WordPress widgets with ease. Apart from this, we will also use the WordPress HTTP API to make calls and read responses from the WP API. So, tighten your seat belts and start the journey of using REST API for your WordPress site. How to make Requests with the Rest API? These elements help you create a fully-fledged WordPress site and you can access it via HTTP REST API. You can even CREATE, PUT, UPDATE, RETRIEVE, or DELETE any of the WordPress site’s resources mentioned above using WP API. How to make the most of the REST API? However, the example mentioned above in the previous section is amazing, but it won’t change in seconds. For that, you will need to cache the response for an hour using REST API. Fortunately, there are multiple ways to cache your resources, including, using a composer library (JP REST API CACHE), WordPress caching plugins and of course, using native transients, which is one of the best ways. We will show you how transients work using an example. Transient is used to store WordPress data, along with an expiration date. It will, by default, move to the database but making some setup modifications can store it in the memory to make it work faster. While retrieving the posts, you can add them in a transient and don’t forget to set the expiration to an hour. Before meeting the expiration time, the posts are retrieved from the WordPress database. But once after the expiration, they are retrieved from the external site and added into the transient. When it comes to the WordPress REST API, then you must know that some HTTP requests don’t need authentication. For example, GET requests like getting posts don’t require authentication. But other GET requests do need authentication, such as getting users, getting revisions, and getting post meta data. Plus, all POST, PUT and DELETE actions need authentication. They won’t perform without the authentication process. To an addition, when you perform on site actions such as installing themes and plugins to the site, these are managed by cookies. But, if you are doing it off site, authentication is handled by OAuth. For that, you will need to download the OAuth plugin to your site to lead the external site through the basic OAuth flow process to get access. You can also use the Basic Authentication plugin for the same task. If you are looking for the resources to discover more about the usage of WordPress REST API, then you should read the Developer Resource page of the documentation. There, you will find all the relevant methods that help you know how to interact with WordPress data objects such as users, media, meta data, post types and a lot more. Being a WordPress developer, you should always be aware of the fact that learning or discovering more about APIs means you are enhancing your skills and boosting the capabilities of developing more powerful sites, mobile apps and themes for WordPress. In this blog post, we tried to elaborate the entire usage, capabilities, and benefits of WordPress REST API. If you have some great tips related to this topic, feel free to share them below in the comment box. Previous story Samsung Galaxy C9 Pro Vs OnePlus 3T: Which 6GB RAM Phone is Better?